Sony teamed with OmniVirt for its VR/AR platform to distribute the 360-degree ads across relevant media sites. 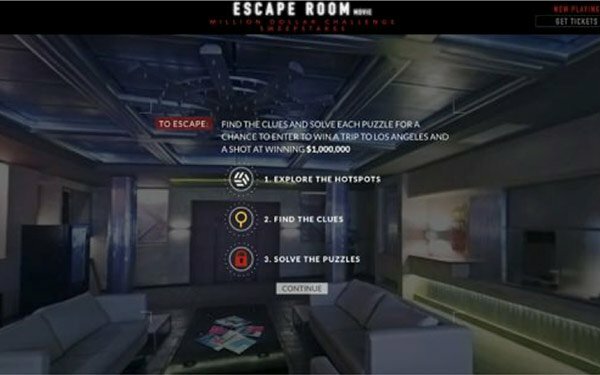 The studio is also running 360 display banner ad units that click to a full interactive 360-degree “Escape Room” experience. The creative was produced by Pretty Big Monster and includes 360-degree themed escape rooms from the film, allowing audiences to explore and “escape” from a room. The 360 VR experience can be explored via mobile or desktop.